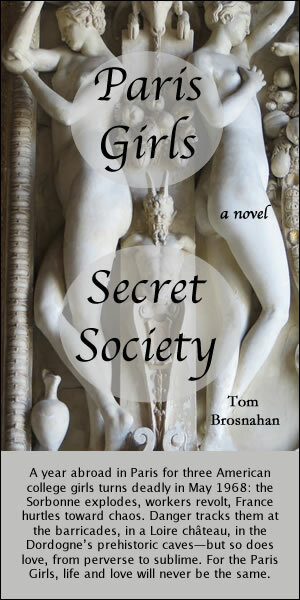 Paris has a lot of museums, and you'll probably find one on whatever art or topic interests you. 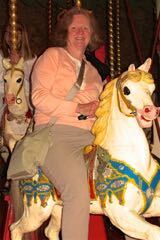 Riding a white horse at the Musée des Arts Forains. While some museums like the Louvre or the Musée d'Orsay have large, broad collections, others focus on specific topics or types of collections. There are some museums that focus on an individual artist, and others that emphasize a culture or an interest. Here are some that you might want to consider, depending on your own personal interests. 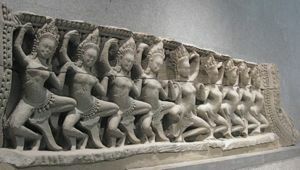 Asian Sculpture, Musée Guimet, Paris. "Special interest" is hard to define, so you may have other interests that aren't covered in this list. But I would bet that you'll find a Paris Museum that covers your particular area of interest. 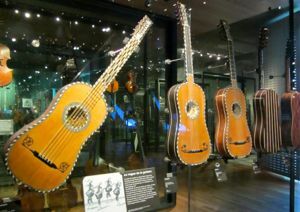 Above, Historic guitars, Musée de la Musique, Paris. Skulls greet you at the Catacombs.